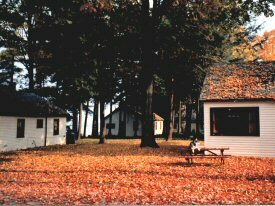 Pinewood Cottages and Trailer Park: a Family Resort! Two and three bedroom housekeeping cottages. Picture windows overlooking beautiful Pigeon Lake. Seasonal trailer park. 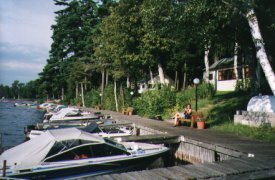 Boat and motor rentals. 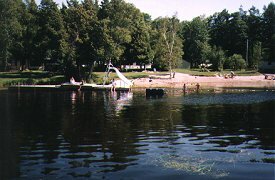 Docking, boat ramp, safe sandy beach. Great fishing! Just 90 minutes from Toronto. For more information, please visit www.pinewoodresort.com. 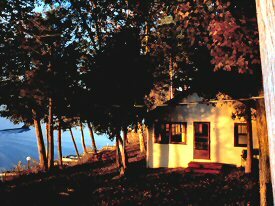 There are 2- and 3-bedroom cottages available. The two-bedroom cottages sleep 4 people. The 3-bedroom cottages sleep 6 people.